Golf Communications International achieves outstanding results in golf PR, marketing and social media for its clients. Founded in 2009 by golf industry professional Helena Woodcock (nee Kopecka), Golf Communications International’s track record in golf promotion is second to none. Based close to the spiritual home of golf in St Andrews, Golf Communications International espouses the values that make golf such a special game – integrity, commitment and passion. Helena is an experienced communications professional with a flair for delivering innovative and cost effective solutions for clients. Her infectious enthusiasm and passion for achieving results inspires clients and business partners alike. A skilled, multi-lingual communicator, Helena has worked in golf throughout Europe and beyond. Helena created the golf tourism department at the Czech Tourist Authority – CzechTourism. She led the department for four years and spearheaded public sector support for inbound golf tourism. Helena developed the country’s golf PR and marketing plan and worked with the International Association of Golf Tour Operators (IAGTO) to deliver a three-year strategy for promotion of the Czech Republic as a golfing destination. This led to the country being named the Undiscovered Destination of the Year in 2007. 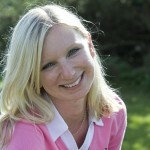 In 2008 Helena joined the Scottish tourist board VisitScotland as Golf PR Executive. She was responsible for Golf PR in both the British and the Irish markets. Her responsibilities included communication with the media, organisation of press and fam trips, PR campaigns around major golf events such as The Open Championship, the Ryder Cup, the Alfred Dunhill Links Championship, the Johnnie Walker Championship and the Barclay’s Scottish Open, and working on VisitScotland’s golf website and a range of marketing publications and initiatives. Helena works closely with golf media from all over the world. She has written for several publications in Europe and contributed golf travel features as well as opinion pieces and tournament reports. Helena works with media partners in Germany, the Netherlands, Belgium, Great Britain, Ireland, Finland, Denmark, Australia and America.